Is there biblical warrant for Sunday evening worship? 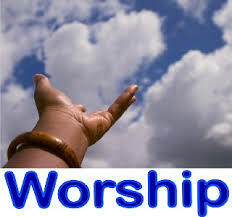 Christians used to participate in worship not only on Sunday mornings but on Sunday evenings as well. Is this something we should still be doing? In this Q&A video from our 2017 National Conference, W. Robert Godfrey considers the worship service through history. Just Ask.Ligonier.org to get clear and trustworthy answers to your biblical and theological questions. This entry was posted in Films/Video, Ligonier Ministries, Robert Godfrey, The Expositor, Worship on 20 September 2018 by Michael Corley. This entry was posted in Keith and Kristin Getty, The Expositor, Worship on 30 November 2010 by theexpositor. Stephen Charnock once said concerning worship, “To pretend to pay homage to God and intend only the advantage of self is, rather, to mock Him than worship Him. When we believe that we ought to be satisfied than God glorified, we set God below ourselves. Imagine, that He should submit His own honor to our advantage-we make our selves more glorious than God.” On this program, Mike studies worship and the purpose of the church worship service. This entry was posted in Apologetics, Steve Camp, Theology, Worship on 7 October 2008 by mcp. On this program, Mike examines what worship is and what worship isn’t; citing the secular cultures idea of worship with examples from contemporary music. Then, he shares examples of how some in contemporary Christianity define the worship of God. This entry was posted in Apologetics, Audio, Theology, Worship on 29 September 2008 by mcp. Do you cherish the Lord Jesus? We should love, prize and cherish the Lord Jesus, not because of what He can do for us, but rather because of who He is and that we desire to be obedient to Him. Mike shares a wonderful clip by John Piper on this. Also, a follow-up on the recent purpose driven program, sharing a clip from a message by Paul Washer. This entry was posted in Apologetics, John Piper, Paul Washer, Worship on 26 March 2008 by mcp. What should worship look like? There are many different “styles” of worship services today. What is worship and is it defined by what it does for us, or what we do? Mike examines the true definition of worship citing Scriptures from 1 Corinthians chapters 1 and 10. Also, Mike comments on an article quoting Rob Bell and how “the sound of breath” is the Name of God? This entry was posted in Apologetics, Emergent Church, Music, Theology, Worship on 7 March 2008 by mcp. Mike shares his personal reflections on the recent True Church Conference. He also sharing clips from messages by Dr. David Miller, Paul Washer and Jeff Noblit, and very special music led by Tom Clay and from the choir of First Baptist Church, Muscle Shoals, Alabama, with the great contemporary hymn In Christ Alone. To purchase the audio or video of all the conference sessions, visit www.anchoredintruth.org. This entry was posted in Anchored in Truth, Audio, Conferences, FBC Muscle Shoals, Jeff Noblit, Music, Paul Washer, Worship on 25 February 2008 by mcp. Broadcasting from Day 1 of The True Church Conference at First Baptist Church, Muscle Shoals, Alabama, Mike visits with Tom Clay, Associate Pastor of Worship and Music at FBCMS. They talk about the importance of music, the true meaning worship and the heart of worship in the believer. This entry was posted in Conferences, FBC Muscle Shoals, Music, Worship on 21 February 2008 by mcp.